The 25th May is a day used specifically to celebrate Africa’s independence, freedom and liberation strife from colonial powers. The event commemorates the Organisation of African Unity, which is commonly known as the African Union – 25 May 1963. The move was originally inspired by Ghana’s independence. Ghana was the first country in the South of the Sahara gaining its independence on March 6, 1957. Ghana’s independence inspired other countries to fight against colonial rule. “The evolution of humanity says that Africa reaffirms that she is continuing her rise from the ashes. Whatever the setbacks of the moment, nothing can stop us now! Whatever the difficulties, Africa shall be at peace!” – Thabo Mbeki former President of South Africa, “I am an African” speech delivered on 8 May 1996. The day is celebrated annually, in many different countries across the continent. Events include formal gatherings and panel discussions, street marches, speeches by political and social leaders, and rallies featuring cultural entertainment, poetry and speakers. Choose to celebrate Africa Day the NetFlorist way. Honour the day by surprising a special someone with an Africa-themed gift. Keep the memory alive among the ones you love most. We loved the quote so much, we put it on a piece of wall art! This special gift will add some meaning to any home! An Africa board features a special poem design in English or Afrikaans and is also personalised for that special touch. This piece of wall art will look great on any wall, so send now! 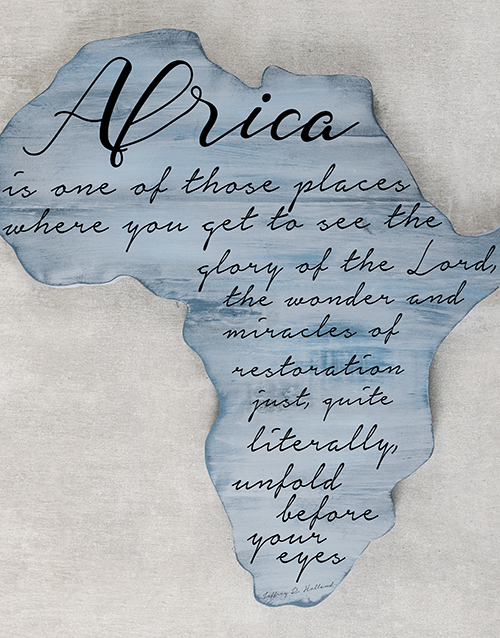 Spoil a loved one to a piece of Africa in their own home. 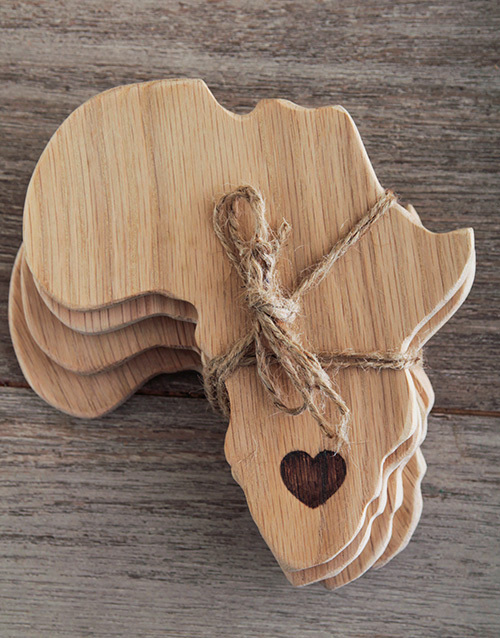 These stunning weathered oak coasters in the shape of Africa shows the heart of South Africa engraved at the bottom and will make a statement piece in any home. Included in this set is 4 coasters tied together with twine and is the perfect gift for celebrating a housewarming, saying thank you or any other special occasion! 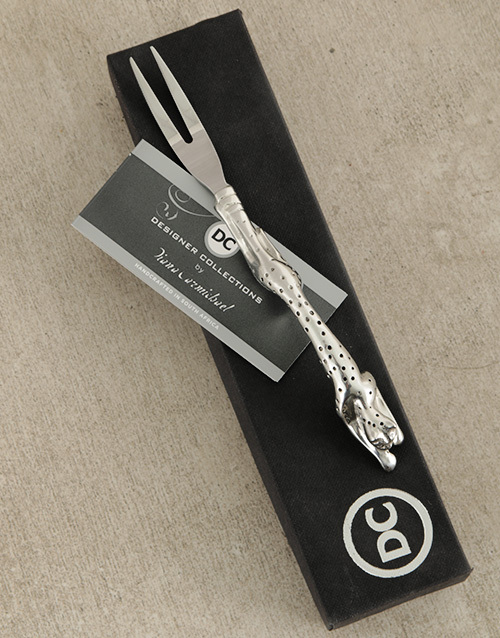 This beautiful Cheetah Africa Pickle Fork from the talented Diana Carmichael is the perfect addition to any table or home, with its unique pewter African Cheetah handle design, and highly polished finish. This quality gift is perfect for any loved one, so send now! If you don’t want to settle for one flavour, why not choose them all? 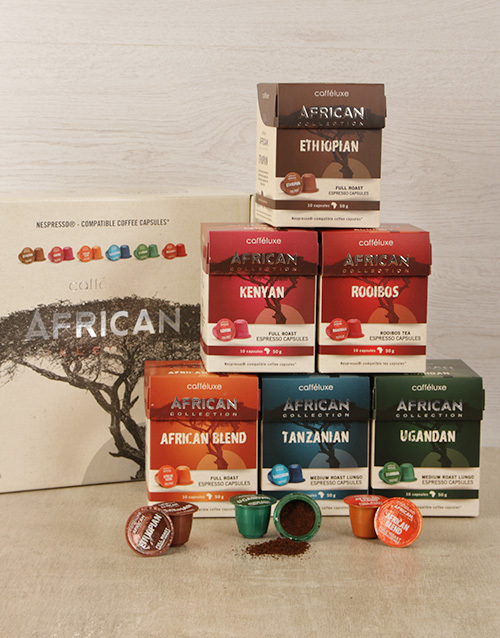 This Caffélux African Collection Gift Box is a coffee lover’s dream, as it contains an assortment of the continent’s finest coffee pods, with a box of each variant (10 capsules per box). The six variants are African Blend, Ethiopian, Kenyan, Tanzanian, Ugandan and the newly launched Rooibos Espresso. Send this gift to a friend or family member and make them smile. Struggling to find the perfect beer-ific gift for a friend? The African Brew cookbook hamper is the answer! Starting with the history of beer and taking the reader on a journey of discovering the best beers paired with a gastronomical feast by top chefs, this cookbook will surely delight! 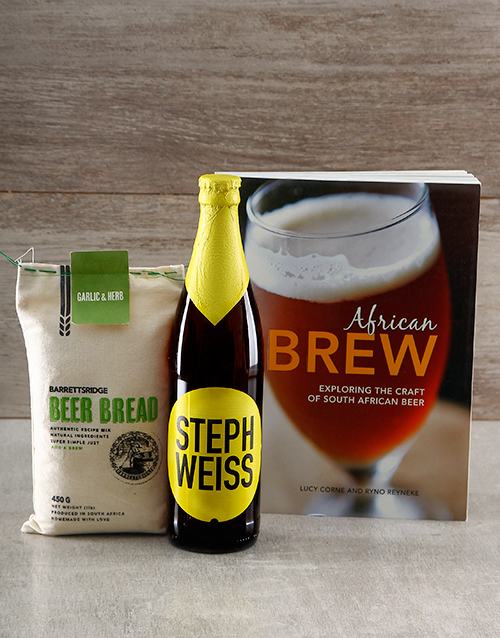 The hamper consists of the 2013 Gourmand SA’s Best Beer Cookbook, African Brew, Steph Weiss Craft beer and Barrets Ridge beer bread. Spoil a beer-loving friend or family member and send this gift from NetFlorist.